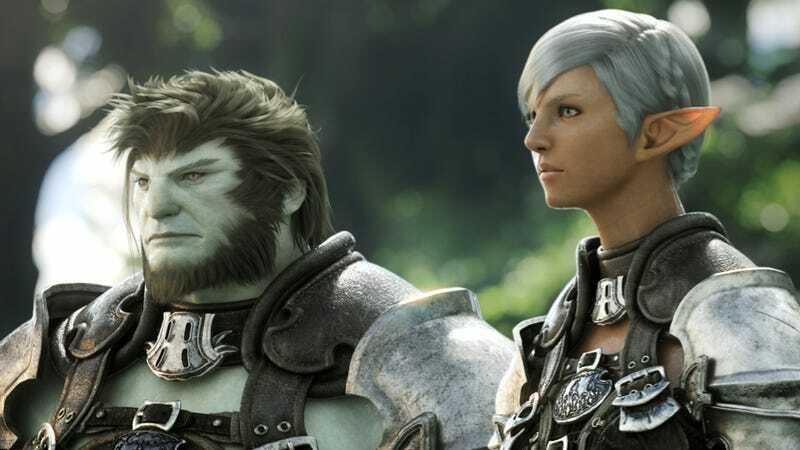 Square Enix is busy readying the PS3 version of Final Fantasy XIV. The Tokyo-based game company isn't just working on making sure the PS3 version is up to snuff, but it's also aiming for it to become the standard for MMORPGs on home consoles. In the upcoming issue of Famitsu, Square Enix seems to have shed more light on the user interface for the long awaited PS3 version. "Live", "Content", "Social", "Map", "My Character", "HUD", and "System" will be the seven sections on a XMB type interface that will be familiar to all PS3 owners. Each section will then bring up a subsection. For example, under My Character, there will be subsections like "Pose", "My Items", "Action Menu", and "Event Items". There's a Cross Hot Bar, which was previously announced, that allows you to set and operate shortcuts for main commands, as well as for text and macro. The shortcuts are located in four horizontally arranged icon sets in the lower part of the screen. These are the grouped, and accessed, by the L2 and the R2 buttons and the directional pad or the face buttons. Using each shoulder button to cycle through the cross sets, players get quick access to commands. This user interface will be available to PC gamers who play with controllers. "We didn't want to put the player using a controller at a disadvantage," user interface lead Hiroshi Minagawa told Famitsu. "Using a mouse and a keyboard is typically popular all over the world, but with Final Fantasy XIV: A Realm Reborn, we're aiming to be the standard for MMORPGs played with controllers."